Toronto's Yonge area is one of the most exciting neighborhoods in the city, offering something for everyone with its plethora of arts, culture, shops, entertainment and tasty dining options. It's the perfect spot for a date, promising a memorable experience whatever your interests. So whether you're heading to Yonge for a first date, a night out with your partner, or an evening with your best friend, here are our picks of the best dating ideas around Yonge. 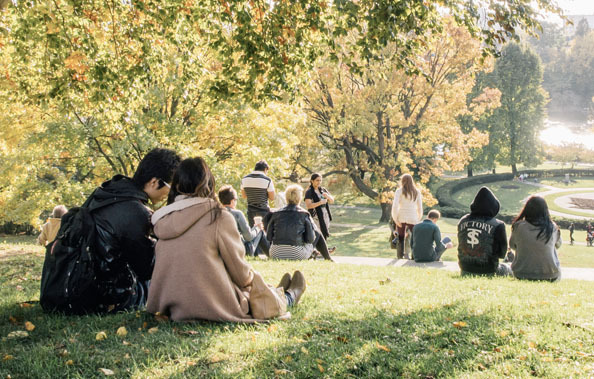 Take your date for a day out at Toronto’s oldest park. Settle down to enjoy a picnic with stunning lake views in the background, and then explore one of the several hiking trails or go head-to-head on the sports courts. There’s even a small zoo there – a great chance to score bonus points if your date is an animal lover! The park is easily accessible by public transport or car and makes for a lovely day out. The distillery district is a one-of-a-kind pedestrian-only village, housing the most extensive and best-preserved collection of Victorian architecture, providing the perfect romantic setting for a date. Many visitors choose to explore the area by Segway for a fun and memorable experience, which is sure to impress your date. In the district, you'll find plenty of unique galleries and stores to keep you and your date entertained. 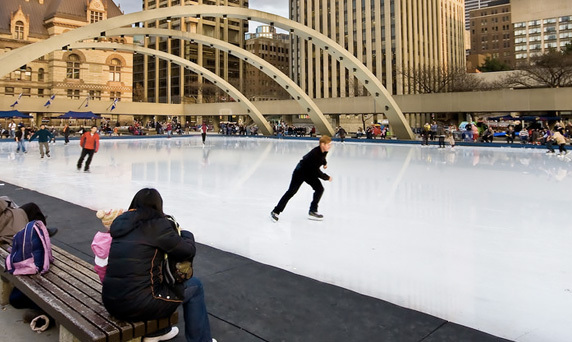 Of course, this option depends on the season, but ice skating at the old city hall is the perfect winter date. The beautiful architecture of City Hall itself makes a romantic backdrop, and you can take a photo with the Toronto sign as a souvenir of your time spent together. Warm up with a hot chocolate at of the nearby cafes when you get tired of skating. The Ed Mirvish Theatre offers musicals, dramas, comedies and more in an elegantly restored 1920s landmark – there’s something to suit everyone. When the show’s over, there are plenty of nearby restaurants offering all types of cuisine to suit any budget. Dinner and a show in downtown Toronto is a proven recipe for a successful date. 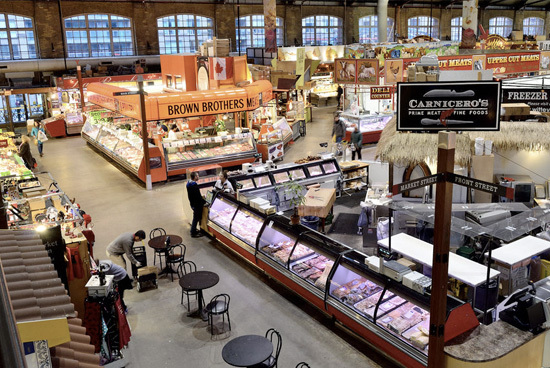 St. Lawrence Market is easily accessible by public transport from Yonge and perfectly showcases the multicultural diversity of Toronto with its stores and street food. Take your date to wander through the array of unique stores, and a grab a bite to eat from your choice of vendors offering food from all over the world. You might even be lucky enough to time your visit with one of the many food and drink festivals the market hosts. Enjoy the exciting nightlife of Yonge Street with your date at Bar + Karaoke Lounge. Sip on your choice of delicious cocktails, soju, beer or wine in between singing your heart out to your favorite songs – what a way to break the ice!